At Blossom Family Chiropractic, we identify the underlying cause of your health challenges which are typically caused by disturbances to the nervous system, known as subluxations. These subluxations decrease the body’s ability to heal, adapt, and function properly. Our office utilizes various chiropractic techniques to restore proper nerve function to every cell, tissue, muscle, and organ in the body through access way of the spine. We understand that your family’s health is more than just “feeling good”, it is dependent on a properly functioning nervous system! We recognize that every individual and spine is different. So, our office uses different techniques to best suit you and your family’s needs. Each technique is extremely effective in removing interference to the nervous system, allowing your body to function optimally! At Blossom Family Chiropractic, we want to offer services that will restore your mind, body, and soul! Our licensed massage therapist, Amanda Maccracken, offers massage in the office on Tuesdays and Fridays. 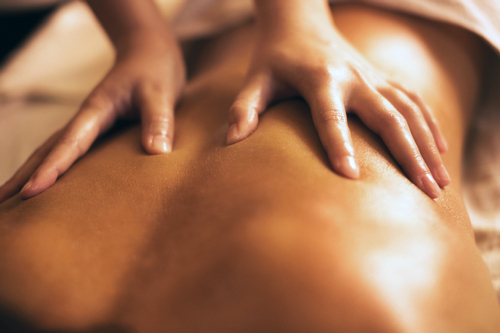 Choose from a 30, 60, 90, or 120 minute massage to rejuvenate yourself!